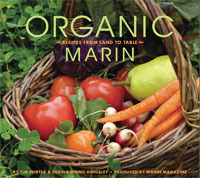 I had the opportunity this year to again photograph the winner of Marin Magazine’s annual cover contest. 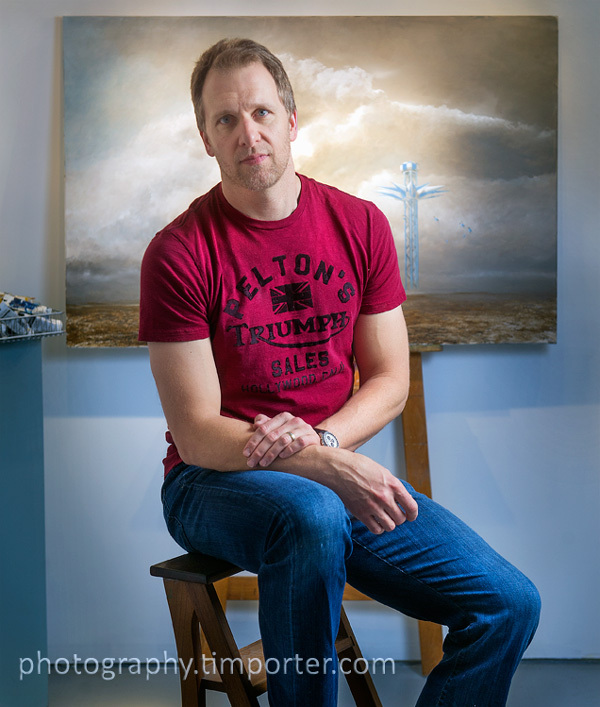 The winner, chosen from among more than 400 entries, was painter Greg Martin. I photographed Greg in his studio, a basement space in his San Anselmo home. The studio is small, not more than than 10 x 20, and Greg is a big guy, what some would call a strapping lad. I squeezed a small strobe and umbrella against one wall, and let the light ricochet around the studio’s white walls and ceiling, producing a nice, soft look. Greg’s artwork, which walks the line between whimsical and ethereal — a fun place to be — provided the backdrop. Later, I noticed he wore the same deep red Pelton’s Triumph T-shirt that he has in his bio photo for his website. I enjoy photographing artists, especially painters because their studios and their painting supplies fascinate me (although Greg’s was a bit too clean for my taste). Here’s my post from a year ago about photographing the 2011 cover contest winner and a collection of other artist portraits. Visit your local Marin artist this weekend (May 12-13) during Marin Open Studios. I’m showing my newest work at The Image Flow, 401 Miller Ave., in Mill Valley, from 11-6. This entry was posted in On the Job and tagged Gallery Bergelli, Greg Martin, Marin Magazine, Open studios, painter, The Image Flow.